In current MTP camo, we provide updated combat uniforms, Mk4 vests, ‘Bergen’ backpacks, Mk7 helmets, berets and tactical glasses. 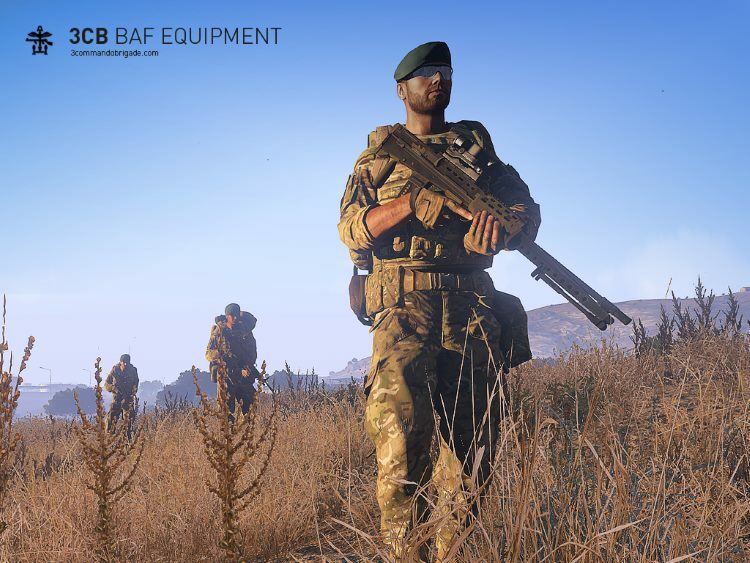 A huge variety of options enables each player to give their character a unique look on the battlefield, whether it be as an Officer, Forward Air Controller, Medic, Sapper, Signaller, Engineer, Point Man, Grenadier, Marksman, Machine Gunner or just plain Rifleman! 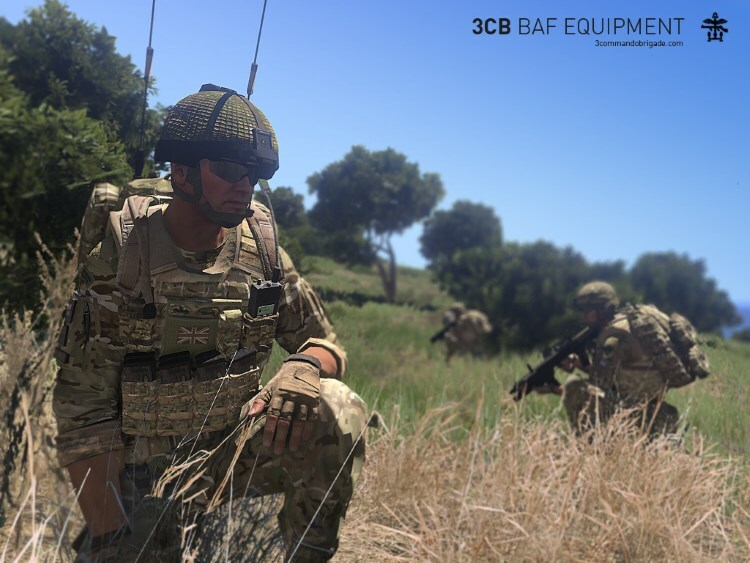 We’ve now expanded the range of combat uniform camouflage patterns to include DPM Woodland, DDPM (desert), DPM Temperate and Arctic. Along with these come accompanying sets of new Mk 2 vests, webbing, Mk 6 helmets and backpacks. 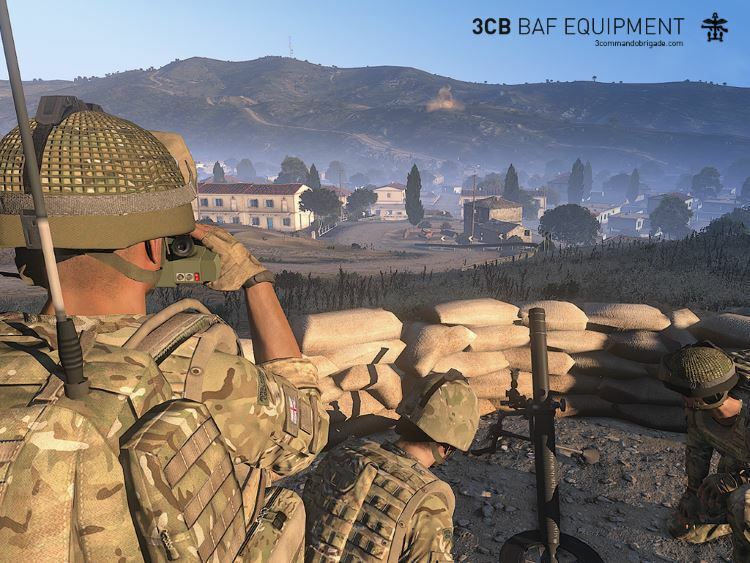 We haven’t forgotten support forces either, with new uniforms, vests and helmets for RAF / RN pilots and tank crews. 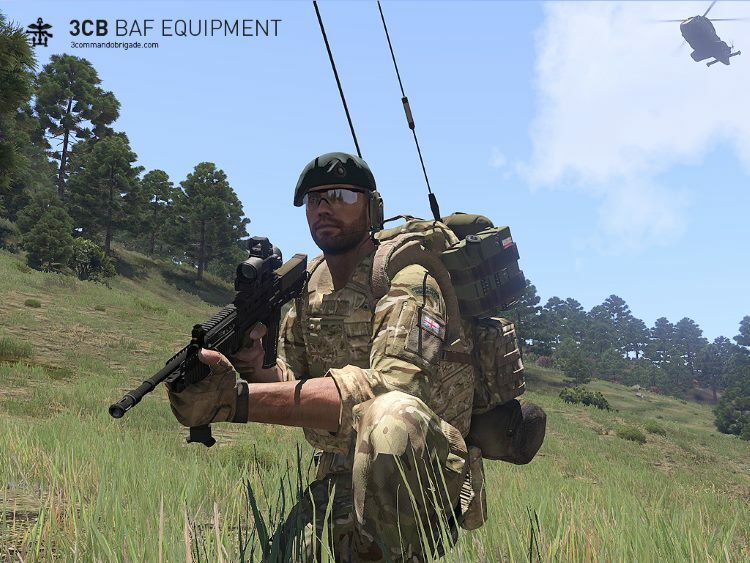 Produced primarily for our own use, there is a distinct “Royal Marines” flavour, but we are also providing generic uniforms and specialist berets representing other British armed forces Regiments for the wider ArmA community to enjoy. Check the Contents section below for all the details of exactly what is in the pack. 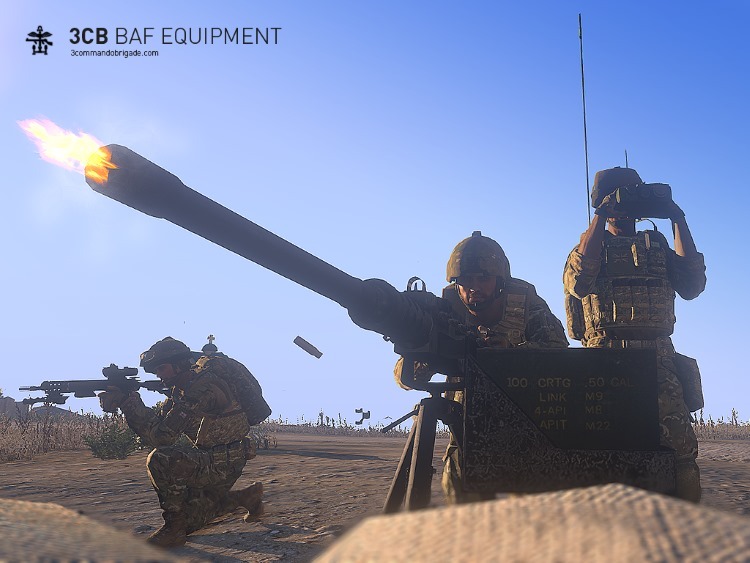 Many of the models used were ported from ArmA 2 and have been modified further by our team. 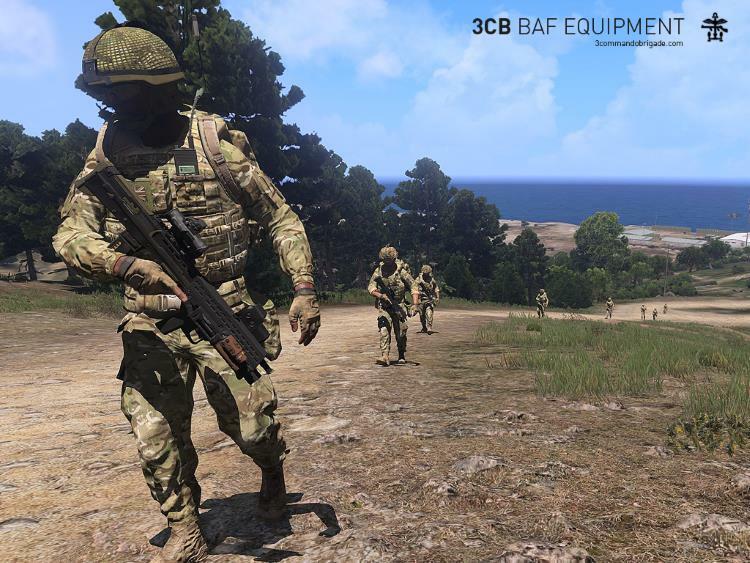 We have also been fortunate to have formed close ties with many developers from outside of 3CB who have been kind enough to donate their work to us for adaptation and inclusion in this mod pack. We are very grateful to them, thank-you all (see Credits section). backpacks can be dropped as you go into combat and easily re-claimed using a new backpack retrieval feature we’ve built into the ACE interaction menu. MrEwok (based on model and texture by monovdd and juan lezama): Mine detector. Additionally Burnes15th who now maintains EODS mod for correct UK Vallon head.